It is hard to conceive that a driver, considered by such legends as Stirling Moss and Jack Brabham, to be one of the best in Formula One history could be so easily forgotten and overlooked. Considered by Moss, 'the greatest unknown racing driver there has ever been', Tony Brooks would be driven to succeed, but more often than not, it would be his humility that would carry him to victory. It would be a hectic, yet controlled scene. Moss was out of the race, but Brooks had made a deal before the race with his fellow compatriot. Brooks was running well, but he was hurting. Pain from an accident suffered at Le Mans still coursed through his body, but instead of allowing his pride to get in the way and carry on in such condition he would come into the pits to turn his car over to Moss for the remainder of the race. At the time, Brooks had been running around 5th place at the time he would be called in to hand his car over to Moss. Moss would turn that 5th place into a surprise victory, but, had it not been for Brooks humility there may not have been a victory for a British manufacturer and driver that day. History would have lost one of its truly memorable moments. Brooks is to deserve much of the credit for this. Brooks' humility would come from a sober estimation of himself. Born in 1932 in Dukinfield, a small town settled in Greater Manchester, England, Charles Anthony Stanford Brooks would grow up in an area of Manchester that had come to prominence during the industrial revolution. Therefore, the young lad would learn lessons of hard work and would learn not to take things for granted. At just 20, Brooks would take part in his first races. Starting out in club racing with a Healey and a Frazer-Nash, Brooks would be quite successful but would never really take a racing career seriously. He would approach racing as something to enjoy while he had the opportunity. Tony would prove his dedication while also having fun. From 1952 through 1954, Brooks would prove incredibly talented as he would consistently finish on the podium. Especially at the wheel of the Frazer-Nash, it seemed a given Brooks would either win or be on the podium by the end of any race. His calm demeanor would also make him a talent to have in long distance race. 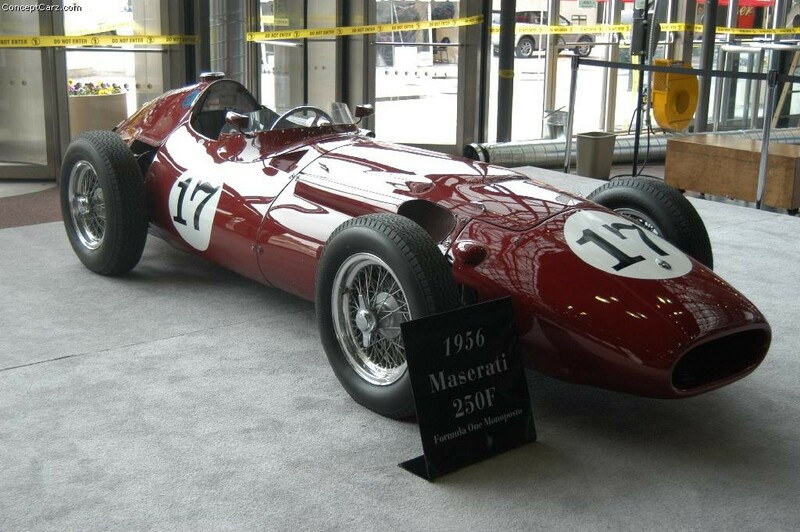 As a result, Brooks would quickly earn a seat with the Aston Martin sports car team in 1955. Even still, Tony would not take such an offer as a sign he would have a career in motor racing. Therefore, Brooks would enroll at Manchester University studying dentistry; hence the nickname the 'Racing Dentist'. 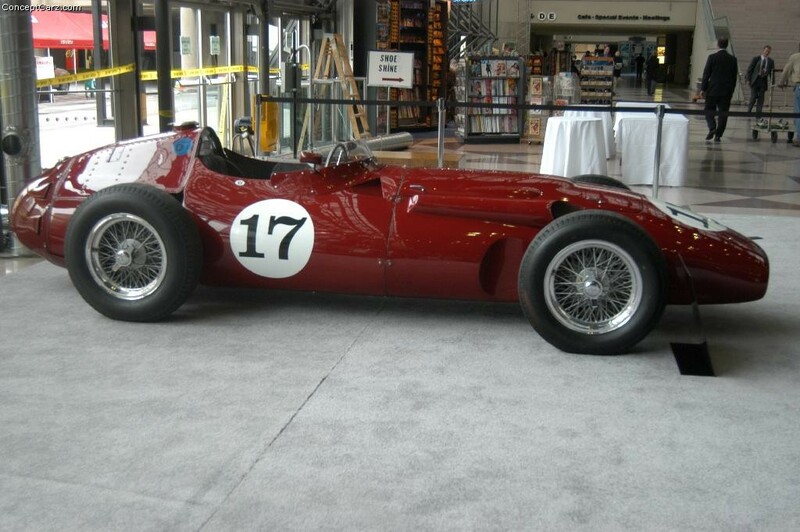 Brooks' first race with Aston Martin in 1955 would not be very successful, but it would be a new beginning for Brooks. In a matter of months, he wouldn't just have a racing career, he would be considered one of the British favorites. It would really all begin for Brooks at Syracuse in October of 1955. Never having sat in Connaught's B-Type before, the dental student threw himself at the exam before him and would come out the other side with a victory absolutely nobody in all of Europe expected. Brooks' Formula One career was born in that moment. On the way to Syracuse Brooks was busy cramming for his dental exams. When he left the island, he would be busy preparing for his first season in the Formula One World Championship. Suddenly, Tony would find himself with offers from Formula One teams. Despite earning his breakthrough victory with Connaught, Brooks would not a strong future with the team. Therefore, he would sign with Owen Racing to drive their BRM. Coming to the team, he would find himself a teammate to Mike Hawthorn. More than once throughout the course of the season Hawthorn and Brooks would show the potential of the team's new BRM 25. Unfortunately, there was one strength the car lacked—reliability. Hawthorn would find this out while leading in the British Grand Prix. Brooks would also find this out in a painful way in the very same race. The throttle on the BRM would fail causing Brooks to crash and overturn. Though he would get out of the car relatively unharmed, he would still have a broken jaw as a result of the incident. This was all the evidence Tony needed to determine it was time to move on from driving the BRM. Therefore, for the '57 season, Brooks would make an important decision. He would leave Owen Racing and would make the move to Vandervell's team where he would pilot the ever-improving Vanwall. While changing teams in Formula One, Brooks would continue driving with David Brown's Aston Martin sports car team. Often paired with Reg Parnell, Tony would continue his strong performances in sportscar races ending up on the podium in many cases and taking a win here and there. The following season would see limited action for Tony given his commitments with the Vanwall. Still, when he did take to the circuit, he was very hard to beat. In fact, the only competitor that seemed to have any consistent luck against Tony in sportscars was Le Mans where the Brit consistently struggled to finish the 24 hour race. The 1957 edition of Le Mans would be painful in more than one way. Not only would he fail to finish the race, yet again, but he would suffer an accident that would leave him in serious pain for a couple of months to come. He wouldn't have a broken bone from the accident but he would suffer some very deep abrasions. In fact, he would still be in the hospital right up to the day before the first day of practice for the famed British Grand Prix at Aintree. 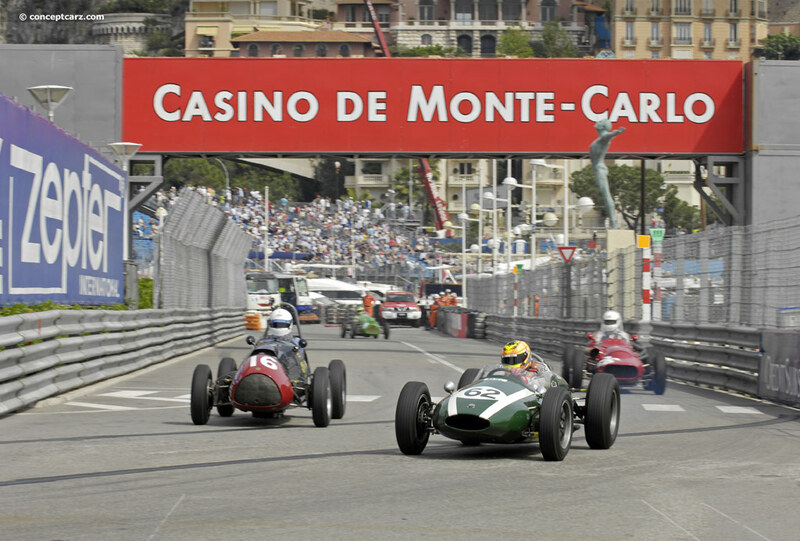 Joining Vandervell's team, Brooks' first race of the '57 season would come at none other than Monaco. Carefully making his way through the melee at the chicane that took out no less than three favored Brits, Tony would find himself chasing the great Juan Manuel Fangio. 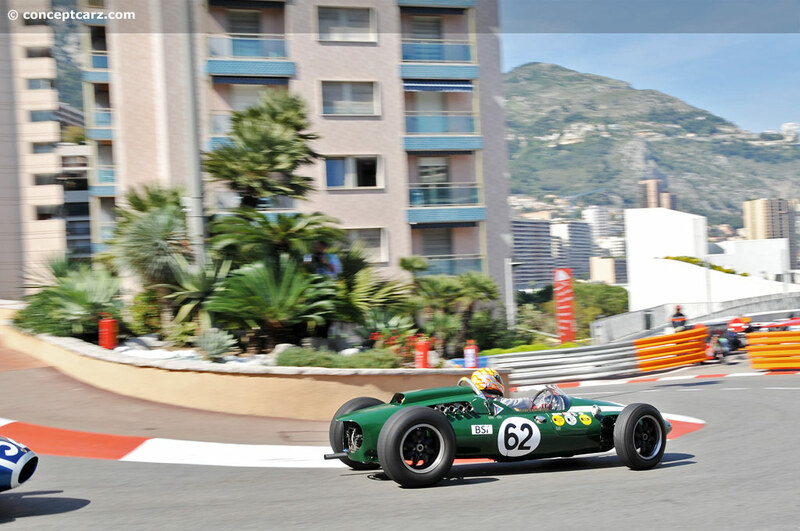 Unfortunately, the Vanwall was not a car ideally-suited to the tight Monaco circuit. Brooks would do his best, but a 2nd place result would be the best he could achieve up against the great World Champion. But then came that day at Aintree in mid-July. The humble driver would earn a shared victory while still recovering from terrible wounds from Le Mans. What is incredible about that weekend is the fact that he would show up from the hospital and would go out and earn a front row starting spot. The 1957 season would be very special, but it would not allow Brooks' talent to shine like what 1958 would. Fully healed, the man from Dunkinfield could truly show his worth. He would capture some attention after he started the Monaco Grand Prix from on pole, but then there would be the Belgian and German grand prix. At Spa, Brooks would disappear into the distance and would demonstrate absolute control when he took the lead for good from Peter Collins on the 4th lap of the race. Then, at the German Grand Prix, Tony would come back from a poor start to absolutely blow by Mike Hawthorn and Peter Collins to take over the lead. The pace Tony would apply would be so surprising that it would force Peter Collins to take ill-advised chances and it would eventually result in his death after he failed to negotiate a blind right-hander. His dander was up as he pursued Brooks to retake the lead he had enjoyed for more than a few laps. Brooks' perhaps most dominant performance of his Formula One career would be overshadowed by the death of his fellow Brit. After victory in the Italian Grand Prix, his third of the season, Tony would finish the season in 3rd place in the championship standings. When combined with victories in sportscar races at the Nurburgring and two at Spa, it is immediately understandable how Brooks would be held in such high esteem by his fellow drivers. Things would only get better for Brooks in 1959. Vandervell's withdrawal from Formula One would open the door for Brooks to get a drive with none other than Scuderia Ferrari. He would take advantage of this opportunity immediately by finishing 2nd in the Monaco Grand Prix. He would then earn victories in the French and German grand prix. A 3rd place in the United States Grand Prix at the end of the season meant Tony finished the year 2nd in the drivers' standings. The victory in the German Grand Prix in 1959 would be a special moment in Brooks' career. First of all, the race would mark a special occasion as it would take place on the AVUS circuit situated in West Berlin. It was just the second time since 1926 that the German Grand Prix had not been held at the Nurburgring. Furthermore, the victory would come following Tony starting from pole and setting the fastest lap of the race. And, finally, it gave Tony back-to-back victories in the German Grand Prix, and at two different circuits. Incidentally, Stirling Moss would also end his career without a World Championship, and, he would never achieve two victories in the German Grand Prix. Thus, Tony's reputation is well-deserved. 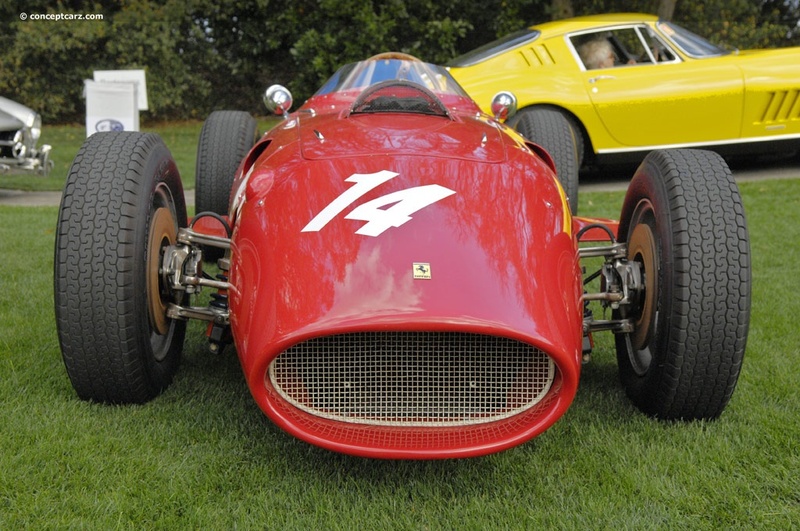 Following the runner-up result in 1959, Tony would leave Ferrari to drive a Cooper. Over the course of the 1960 season, he would come away with three top five finishes, but would never set foot on the podium. In fact, he would not set foot on the podium again until his final year and in his final race. 'Drivers: Tony Brooks', (http://en.espnf1.com/brm/motorsport/driver/696.html). ESPN F1. http://en.espnf1.com/brm/motorsport/driver/696.html. Retrieved 12 February 2014. Greene, Tony. 'F1Biography: The Racing Dentist & the 1955 Syracuse GP', (http://www.formula1blog.com/2012/07/12/f1biography-the-racing-dentist-the-1955-syracuse-gp/). F1Biography. 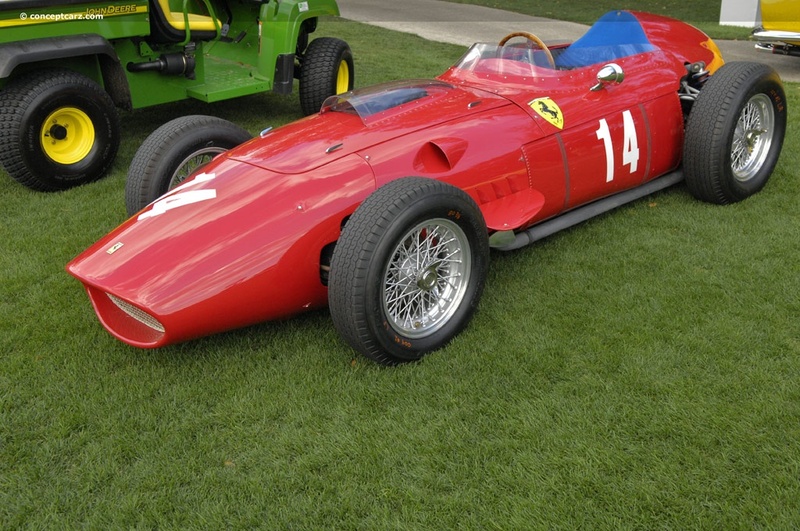 http://www.formula1blog.com/2012/07/12/f1biography-the-racing-dentist-the-1955-syracuse-gp/. Retrieved 12 February 2014. Muelas, Felix. 'Vanwall's Breathrough Win', (http://8w.forix.com/gb57.html). 8W: The Stories Behind Motor Racing Facts and Fiction. http://8w.forix.com/gb57.html. Retrieved 12 February 2014. Muelas, Felix & Diepraam, Mattijs. 'The Flying Dentist', (http://8w.forix.com/brooks.html). 8W: The Stories Behind Motor Racing Facts and Fiction. http://8w.forix.com/brooks.html. Retrieved 12 February 2014. 'Drivers: Tony Brooks', (http://www.grandprix.com/gpe/drv-broton.html). GrandPrix.com. http://www.grandprix.com/gpe/drv-broton.html. Retrieved 12 February 2014. 'Complete Archive of Tony Brooks', (http://www.racingsportscars.com/driver/archive/Tony-Brooks-GB.html?page=3). Racing Sports Cars. http://www.racingsportscars.com/driver/archive/Tony-Brooks-GB.html?page=3. Retrieved 12 February 2014. 'USA 1961', (http://statsf1.com/en/1961/etats-unis.aspx). Stats F1. http://statsf1.com/en/1961/etats-unis.aspx. Retrieved 12 February 2014.